• How would you like to organize all of your account data in one location, regardless of where your accounts are held, giving you an integrated view of your financial picture? We have a solution – OneView. Learn about the key benefits of OneView by watching this short video. • On the Markets from the Global Investment Committee featuring• “Remaining Unemotional” Michael Wilson, chief investment officer of Morgan Stanley Wealth Management and Morgan Stanley & Co., notes that a year ago one of the best bull markets in history was widely disliked and distrusted by investors, but now some of that fear and distrust has subsided. That may be a cause for concern. • “Europe has Several Ways to Win" Europe’s equities have a lot of value, and so do its corporate bonds and currencies, says Andrew Sheets, chief cross-asset strategist for Morgan Stanley & Co. • “Big Debates 2018” Morgan Stanley & Co. research analysts highlight some of the issues on which they differ from the Wall Street consensus. Among them are the reshaping of the auto industry, the economic attractiveness of wind power and whether there is value in beaten-down telecom stocks. • Plus, look for more on the economy, equities and bonds. • To see timely market recap, see Cash Market Rates Snapshot. Today, health care is a top concern for many. People want to understand how health care costs will affect their overall wealth planning strategies. This video highlights Morgan Stanley’s important partnership with PinnacleCare and underscores our commitment to holistic financial planning and health care advisory services. You can contact us or call us at (802) 652-6034 to discuss Health Care and Wealth Planning concerns, and potential strategies for your specific circumstances and needs. Through one single point of contact you gain access to the world’s leading physicians, specialists, institutions, advanced treatments and medical intelligence. All backed by a team of independent and expert proactive health advisors. Many people put off thinking about the aging process until called upon to serve as a caregiver or forced by a life event to face it for themselves—which can make hard choices all the more difficult. With a clear understanding of the key issues, you can get a head start on this life stage and make informed decisions for yourself and your family. Addressing the medical complexities of advancing age with your loved ones can be difficult and sensitive, and PinnacleCare is available to help guide you to the best resources. 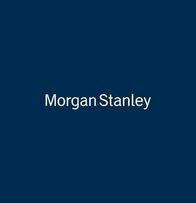 Morgan Stanley serves many of the world’s most sophisticated and demanding institutional and individual investors. Our global presence and expertise allow us to provide our clients with financial advice, integrated solutions and intelligence across all the world’s major markets. 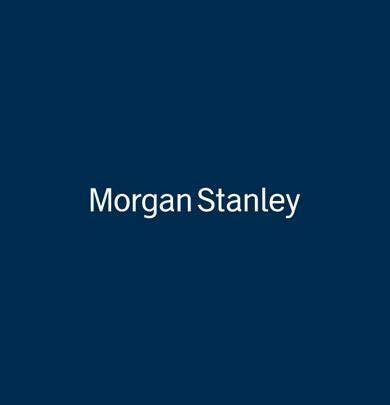 Our valued wealth management clients have entrusted a total of more than $2.0 trillion in assets with Morgan Stanley as of June 30, 2015, making us one of the world’s leading wealth management firms. As we strive for excellence in advising clients and helping them manage their wealth, no responsibility is more important to us than making certain our clients’ assets are safe, secure and available when needed. 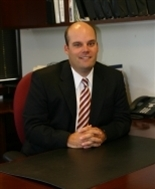 Randy began his career in 1998 after earning his Bachelor’s degree from Springfield College in 1996. Randy spent a few years living in Boston after graduation before returning home to his “roots” right here in Vermont. He accepted his first job in the financial Industry with Sentinel Mutual Funds, before eventually joining forces with his father Ron at Smith Barney in 2000. After 10 years working side by side, Randy took over the business after his father retired. One of the most gratifying things for Randy is the close personal relationships that have developed with his clients over the years. He truly enjoys sitting down with clients to understand what their specific financial goals are, and in turn developing a plan to help his clients meet and exceed their specific goals. Randy was the Co-founder and Director of “The Autism Puzzle Foundation”, a 501(c)(3) organization created to help children and families living in Vermont deal with the complexities and difficulties of being on the autism spectrum. He also helped design and build the first “Snoezelen” room (a sensory room) in Vermont called the “Imagination Station” that is located in Barre VT.
One of the reasons Randy moved back to Vermont was to be able to enjoy all of the outdoor activities his home state has to offer. His passions include hunting, hiking, golf and coaching youth sports. He lives in his hometown of Barre VT, where he married his “high school sweetheart”, Stacey. They stay busy traveling to watch their twins, Payton and Brady, who compete in gymnastics and hockey respectively. Jim grew up south of Boston in a small coastal town of Hingham, Massachusetts. After graduating from Hingham High School, Jim attended Northeastern University in Boston and graduated with a Bachelor of Science degree in Economics. While attending Northeastern, Jim participated in the co-op program he worked for various mutual fund companies located in Boston. Upon graduation in 1989, Jim moved to California and worked for a mutual fund company, Benham Capital Management Company where he worked in Sales and Marketing. With a desire to move back to New England, Jim accepted a position in Sales and Marketing with the Sentinel Mutual Funds in 1993, a National Life of Vermont Company located in Montpelier, VT. 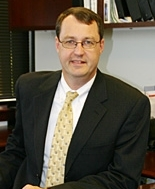 Eventually Jim was promoted in 2004 as National Sales Director for Equity Services, Inc. where he oversaw the sales and marketing for over 1500 advisors. With his passion to help others, an opening to join Smith Barney with The Lamberti Group in 2008 presented itself, and Jim accepted the opportunity to become a Financial Advisor. One of his primary roles on the team has been researching investments (Mutual Funds, Exchange Traded Funds, Closed-end Funds, Unit Investment Trusts, individual stocks, and Socially Responsible Investing). Jim and his wife of 28 years live in Barretown, VT with their two children, Allison and Jonathon. In Jim’s spare time he attends a local evangelical church with his family, enjoys spending time on a lake in Maine where they like to boat, Jet Ski, play golf, snowmobiling, hiking and enjoying all that Vermont and New England has to offer.